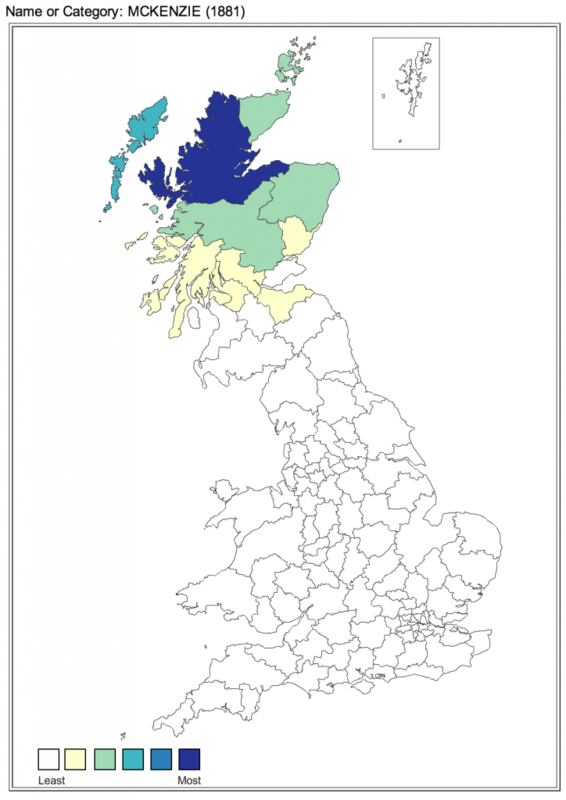 The McKenzie family in my tree comes from the Ross and Cromarty county in Scotland. They emigrated to Canada in the 1830s and settled in Lochhaber, Quebec, a Scottish settlement. McKenzie is a common surname in the Scottish Highlands. The name means son of Coinneach, which is anglicized as Kenneth. The Highland origins of this name are obvious in this map. McKenzie surname distribution in UK 1881. The name is extremely common in the Ross and Cromarty areas. Charles McKenzie. Charles McKenzie owned an inn in Severn Bridge in Muskoka.